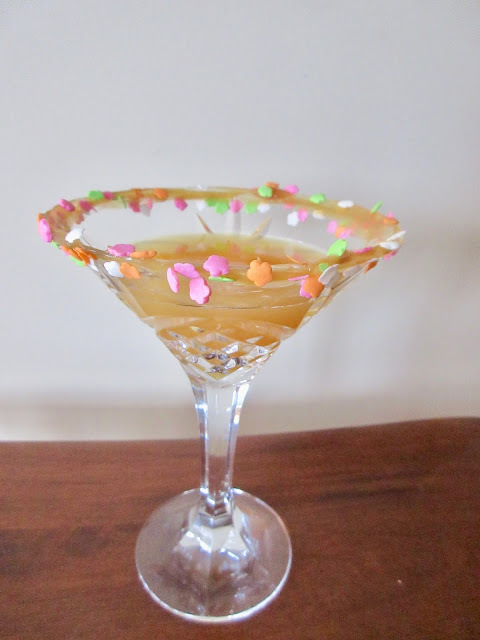 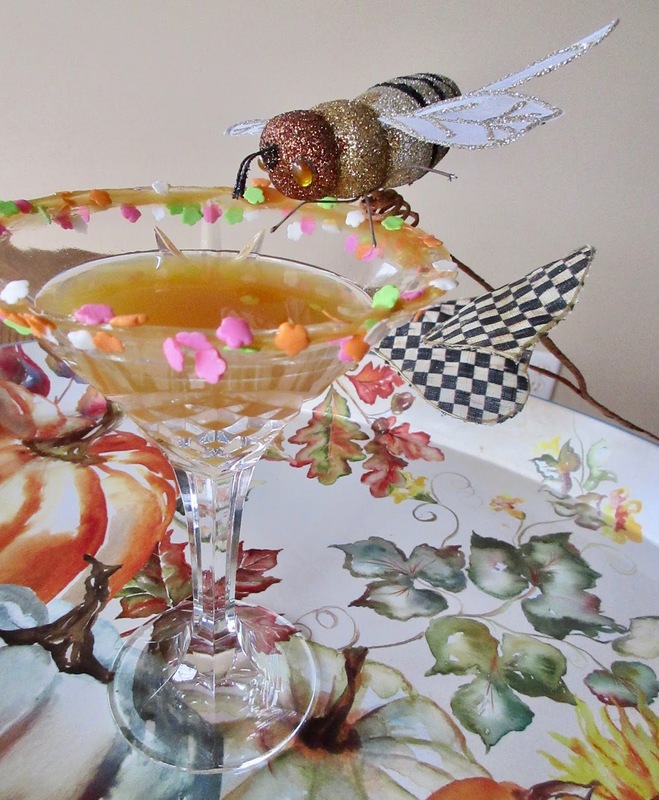 Here's a delicious martini to serve on Thanksgiving! ...and you can also make a batch of these and keep it chilled in the refrigerator! 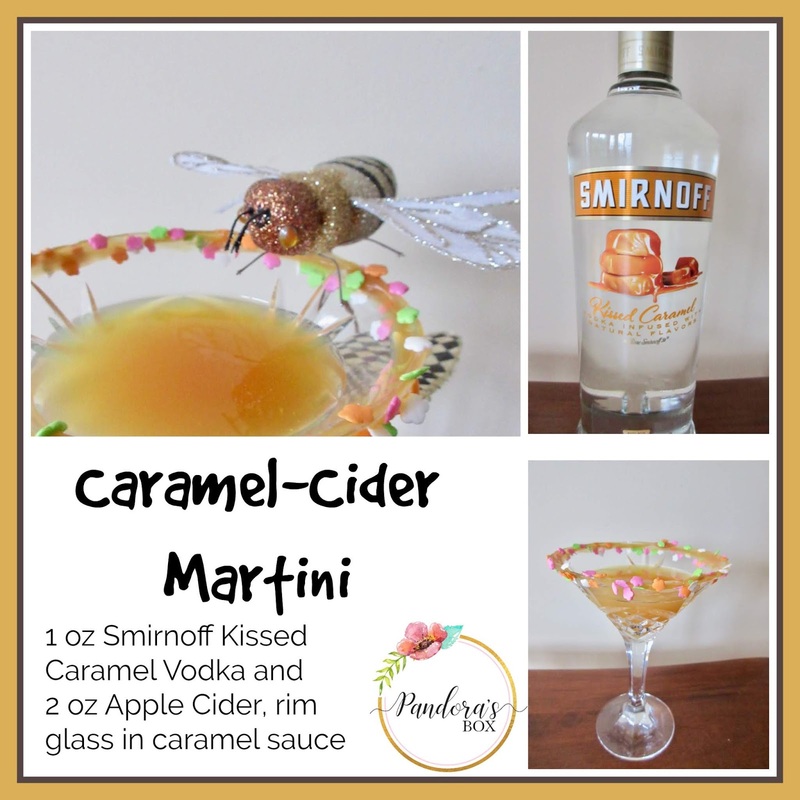 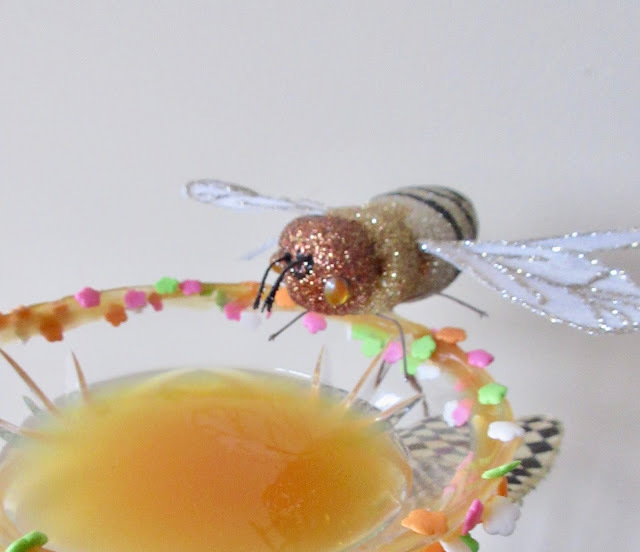 You are having way too much fun creating your special cocktails. 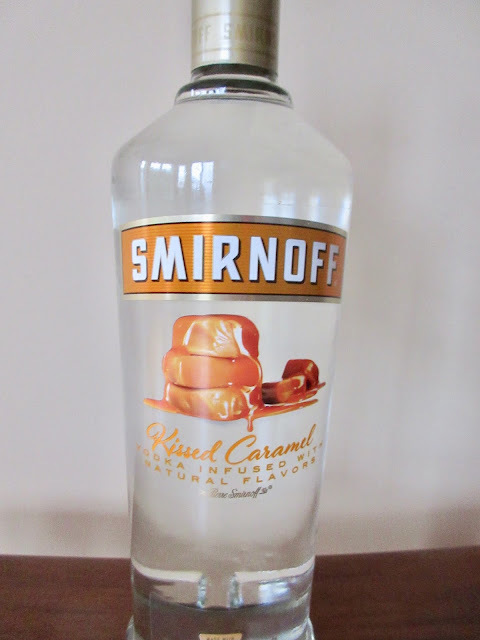 I bet the caramel is tasty. 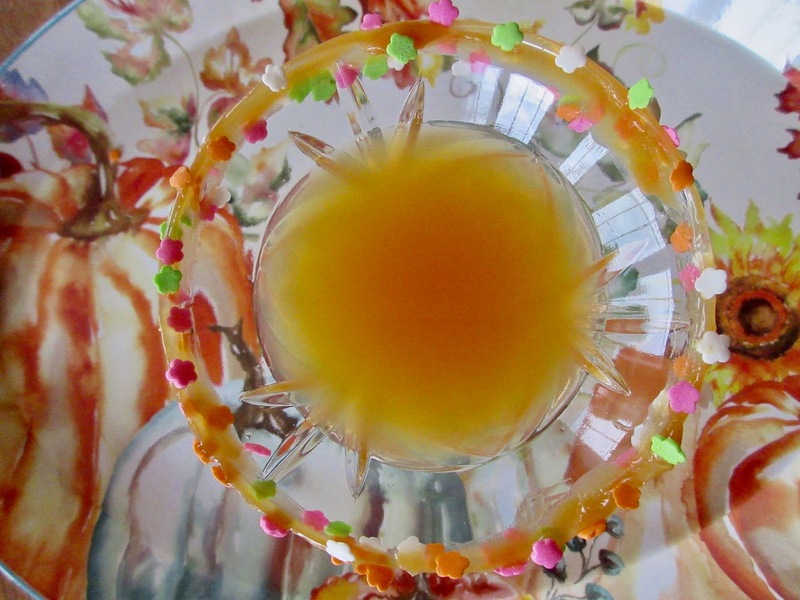 The sprinkles on the edge of the martini glass look like falling leaves. What a pretty idea. 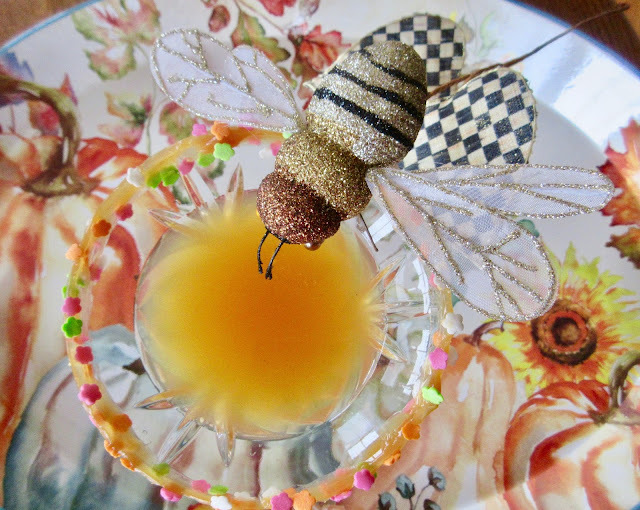 What a darling MC bee too - you always have everything MC - lucky gal!